Keswick Mountain Rescue Team has paid tribute to a former stalwart who has died aged 90. Mike Nixon had more than 60 years’ service with the team, 12 of those as its leader. A Keswick MRT spokesperson said: “Mike hadn’t been well for a while and had recently been in a nursing home in Cockermouth. “It was here that he died peacefully with Val his wife, also a former member of Keswick Mountain Rescue Team, and Chris, Mike’s son, and himself a team member and former team leader of Kintail Mountain Rescue Team, and Janice, his daughter-in-law, at his side. 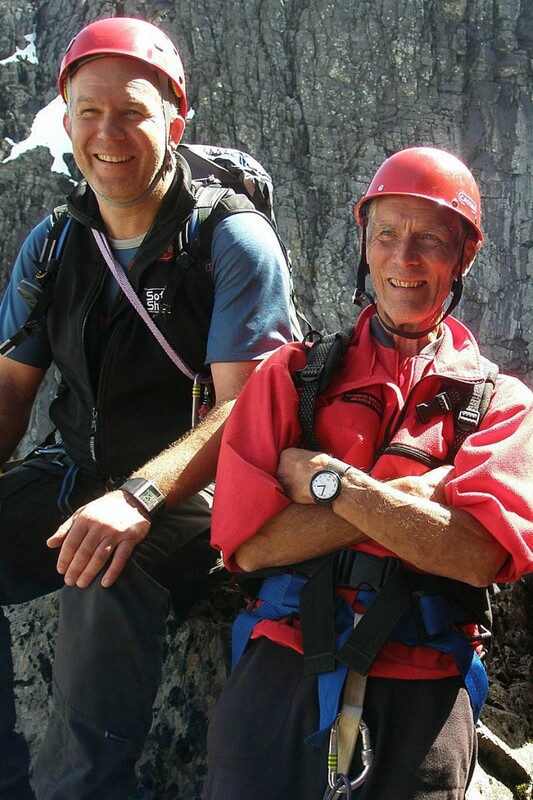 “Mike joined Keswick Mountain Rescue Team way back in 1952 and in his over 60 years with the team he has been a true stalwart of all things mountain rescue. His quiet leadership style and his nature guided the team through its continuing development over the years and brought out the best in all team members. Mr Nixon was the team’s third leader, holding the role from 1981 to 1993, though the spokesperson said he was also heavily involved in a leadership role before formally being elected leader. He also trained and worked a search dog, a golden labrador called Ling. He was president of the Lake District Search and Mountain Rescue Association, standing down only a few years ago from this role, He remained as president of Keswick MRT. In 1993 Mike was appointed an MBE for his services to mountain rescue. The spokesperson said: “Mike has also received Mountain Rescue England and Wales 40-, 50- and 60-years’ service awards – that’s some collection. He was also awarded an LDSAMRA and an MREW distinguished service award. “Mike was an active member of the team and involved in rescues until well into his 80s, often to be found carrying heavy sacks of equipment on rescues. Mike also did a huge amount of behind-the-scenes jobs in support of the team back at the base. Many team members helped Mr Nixon celebrate his 80th birthday by climbing Tower Ridge on Ben Nevis with him. Some family members also undertook the climb, with others walking to the summit of The Ben to meet up with the birthday boy for a glass of champagne to celebrate his achievement before all moving on to Dornie for a birthday party. Mr Nixon died on Thursday. He leaves his widow Val, son Chris and daughter-in-law Janice and grandchildren Louise, Donald and Alasdair. We need more people like him on this planet.